Just in time for the festive season, we’re pleased to unveil three limited-edition, flavoured gins. They’re perfect for gifting and ideal for sipping—and capture the very essence of Christmas. ‘Tis the season to celebrate and indulge—and this Christmas, we’re pleased to present three special-edition gins, each of which has been inspired by a traditional festive treat. Read on to learn more about our decadent Chocolate Orange Gin, our fragrant Mince Pie Gin, and our irresistible Gingerbread Gin, plus other seasonal ginovations. Christmas isn’t complete until you’ve pulled a Terry’s Chocolate Orange from your stocking (and have whacked it on a tabletop to break apart its segments). Relive that classic holiday experience with our Chocolate Orange Gin. To make this indulgent gin, we first distilled an array of festive botanicals, including orange blossom, cacao nibs, vanilla, coffee, and black cardamom. To further boost its flavour, we crafted a syrup from orange zest and raw cacao nibs and blended the two together. The result is a dessert-like gin that will both satisfy your sweet tooth and provide a warming treat on chilly winter nights. We like it as the base of a decadent Old Fashioned, though it’s equally delicious sipped neat (with a chocolate orange on the side, naturally). Our Sipping Society subscribers will have received Chocolate Orange Gin in their latest shipment. You can also buy Chocolate Orange Gin as part of our bespoke Build Your Own Gin Stocking. 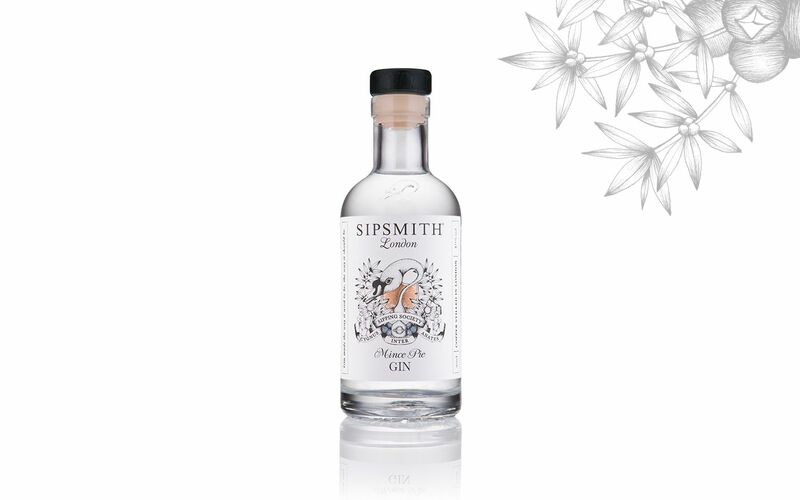 Mince Pie Gin made its debut last year, and it was so popular that we've brought it back for another Christmas. Born out of the Sipping Society, our limited-edition Mince Pie Gin was such a smash hit that we revived it in time for this year’s festivities. This special spirit takes inspiration from mince pies, which have been enjoyed during Christmas celebrations since the 13th century. Distilled with dried fruits (including raisins, prunes, and sultanas) as well as vanilla, cinnamon, cloves, and nutmeg, it’s spice-driven on the nose, tastes richly of raisins and dates, and has an irresistible biscuit finish that’s reminiscent of buttery pastry. 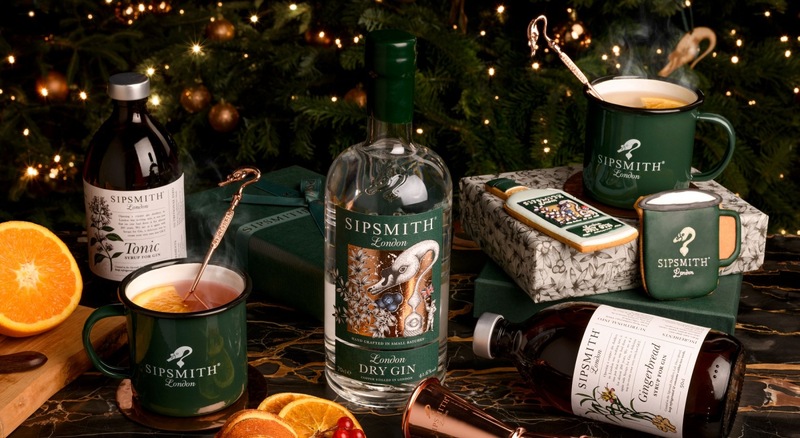 In short, Mince Pie Gin is one of this year’s ultimate gin gifts. 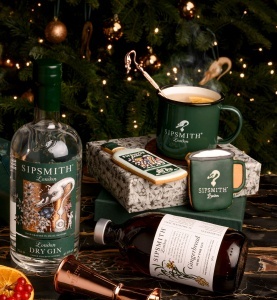 Buy Mince Pie Gin in a special gift set [LINK TBD], which also comes with a bottle of Sipsmith London Dry Gin. It’s additionally available as part of our Build Your Own Gin Stocking. 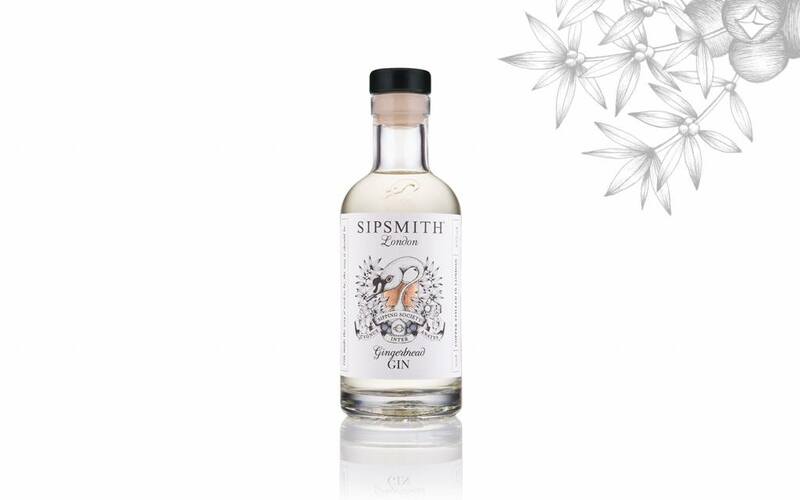 Another former Sipping Society success, our Gingerbread Gin encapsulates a pivotal moment in London gin history. Back in the 17th and 18th centuries—when the Thames used to freeze solid—Frost Fairs were held right on the ice. To warm up attendees, vendors served hot gin and gingerbread together: the first recorded food and alcohol pairing. Made with ample quantities of ginger and other warming spices, this gin makes a nod to that historic moment, and is redolent of toffee apples with a wonderfully creamy finish. Buy Gingerbread Gin as a component in our Build Your Own Gin Stocking. For a bonus seasonal ginovation, a Gingerbread Syrup and Tonic Syrup Set lets you make your own toasty serves. Speaking of all things gingerbread: with London’s storied Frost Fairs in mid, this winter we’re also providing everything you need to make your own toasty Gin & Ginger Toddy. Pick up our Gingerbread Syrup and Tonic Syrup Set , or gift it to your favourite ginthusiast: within, you’ll find 1 70cl bottle of London Dry Gin, 1 50cl bottle of Sipsmith Tonic Syrup, and 1 bottle of our limited-edition Sipsmith Gingerbread Syrup. It’s never been easier to stir up your own warming, winter-ready cocktail.